Hi and welcome to ‘Motivational Monday’!! You may have already seen this video that I posted a couple of days ago, but I wanted to chat a little more about this today. If you haven’t seen this video, you can watch it here. 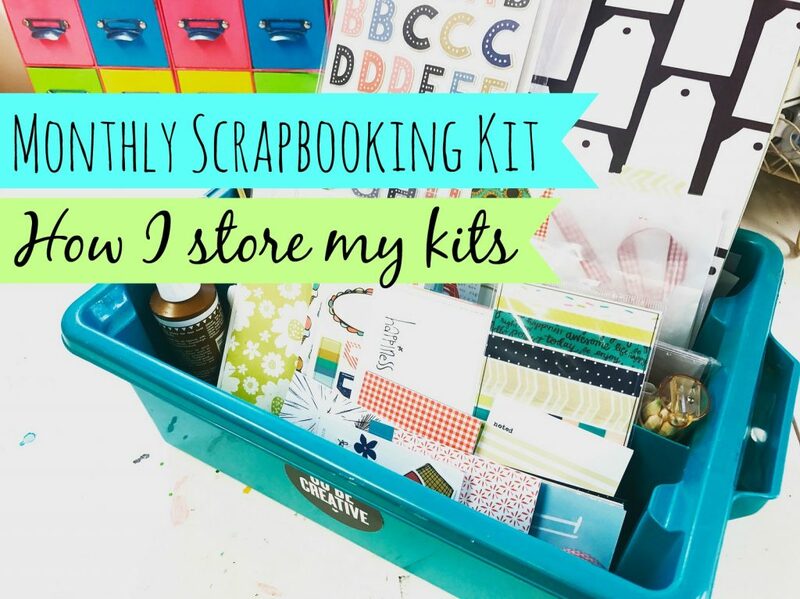 It’s a short video of me showing how I store my monthly scrapbooking kit. I have the topper of an old nappy box that I had for my kids. Funnily enough, the first one came 18yrs ago yesterday! So the box is pretty old now. I just have this part left. It’s really handy as it has 2 larger compartments with 2 smaller on the side and a handle too. The reason I like working this way so much is that I have a small selection of items infront of me. I permanently keep glue, a pen, pencil, ruler, sticky tape etc.. in here and every month I add my scrapbooking kit that I receive. 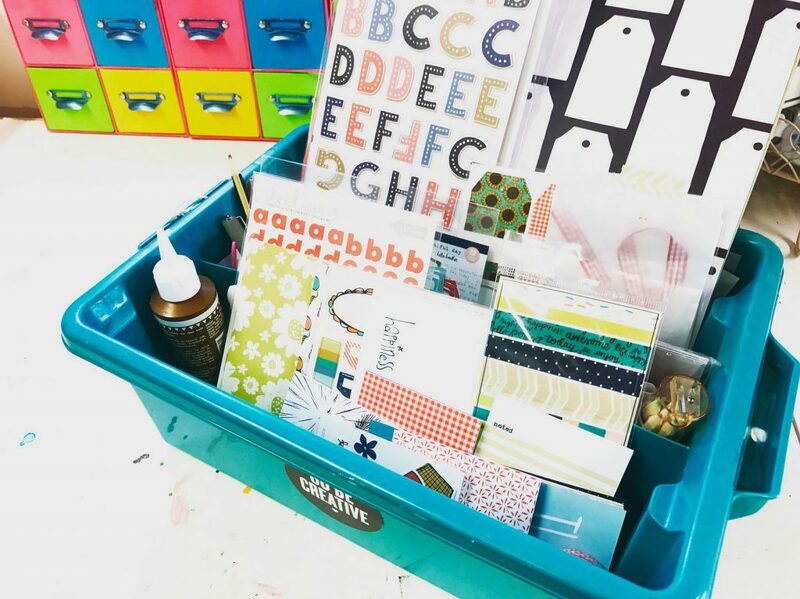 If you don’t get a monthly kit, you can keep a box and add a selection of coordinating papers, basic cardstock, alphas and some embellishments. I really find when I’m creating that less is more. If I scrapbook and I have boxes and boxes to chooses from of so many papers and embellishments, it’s like my brain can’t cope. Kind of like a child in a sweetshop. You want this and then that and then you change your mind…. there’s just too much choice. So by taking all that choice away, you immediately eliminate that stress and your brain can relax and just pick from the small selection you have in front of you. For me this also works well as in the evenings I like to scrapbook in the lounge and watch tv with my husband. So I just just carry the box with me and I have everything there. I even keep photos in here so I really am ready to go. I’ve been working this way for a good couple of years now and I’ve been receiving a monthly kit for over 10 years. I can’t see myself changing how I now work. I love that everything is infront of me and so easy to find and at the end of the month, the leftovers get bagged and stored in my large tote and a new kit gets placed in this box. I do remove items such as washi, but the rest of the kit leftovers get kept together and I do go back and revisit and take pieces, but do be honest, most of the kit does get used.